For the group of students involved, see Little Rock Nine. On May 17, 1954, the United States Supreme Court ruled that racial segregation of public schools was unconstitutional in the United States. That ruling would focus the spotlight of national attention in the United States upon the Arkansas National Guard and the Integration of Central High School. 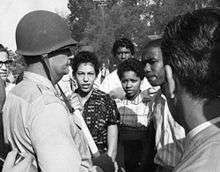 The Arkansas National Guard was drawn into the conflict when Governor Orval Faubus ordered them to "Preserve the Peace" by turning away the black students who were attempting to integrate into Little Rock's Central High School. President Dwight D. Eisenhower reacted to this use of the Guard to foil the court-ordered integration by federalizing the entire Arkansas National Guard and using it to protect the nine black students integrating Central High School. Guard ordered to "Preserve the Peace"
Lt. Col. Marion Johnson, commander of National Guard troops, turns back a group of African Americans seeking to enter Central High School. He was acting on orders of Governor Faubus not to admit the students. After a series of legal proceedings the Federal District Court ordered the Little Rock School District to proceed with its integration plans when school opened on September 4, 1957. Governor Orval Faubus ordered the Arkansas National Guard to Little Rock Central High School on September 4, 1957, because he said he had evidence (although none was shown) that there was "...imminent danger of tumult, riot and breach of peace and the doing of violence to persons and property." The governor initially ordered to state duty the State Headquarters Detachment, the Base Detachment at Adams Field and any other units the Adjutant General felt necessary to "accomplish the mission of maintaining or restoring law and order and to preserve the peace, health, safety and security of the citizens of Pulaski County, Arkansas." On September 4, Elizabeth Eckford was the only student to enter the school due to lack of communication. It is commonly mistaken that she was taking this stand on her own but rather it was because she was the only student who didn't have a phone so nobody could contact her to let her know the integration wasn't happening until the next day. Major General Sherman T. Clinger, the Adjutant General of Arkansas, assembled a force of 289 soldiers under command of Lieutenant Colonel Marion Johnson. On September 4, 1957, Johnson told nine black students who were attempting to enter Central High School to return home. 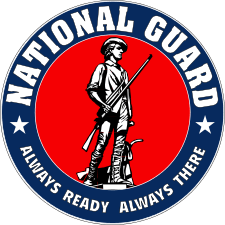 The National Guard presence gradually decreased to a fifteen-man day and night shift. By court order, the National Guard was replaced by the Little Rock City Police on Friday, September 20, 1957. On Monday, September 23, 1957, nine black students entered Central High. These nine students were Elizabeth Eckford, Minnijean Brown, Ernest Green, Thelma Mothershed, Melba Pattillo, Gloria Ray, Terrance Roberts, Jefferson Thomas and Carlotta Walls. When word spread that the students were inside, a crowd of approximately 1,000 gathered outside the school. There was a concern that the police would not be able to handle the crowd so for the safety of the students they were escorted back out of the school for the day. A force of 150 Guardsmen had been assembled and placed on five-minute notice to assist the police at Central, but they were not called on. Company D, 212th Signal Battalion. This force, consisting of 107 officers, fifteen warrant officers and 1,184 enlisted men closed on Camp Robinson just after noon on the 25th. The National Guard soldiers were told, "Our mission is to enforce the orders of the federal courts with respect to the attendance at the public schools of Little Rock of all those who are properly enrolled, and to maintain law and order while doing so…Our individual feelings towards those court orders should have no influence on our execution of the mission." One Arkansas Guard major was quoted as saying, "We have been ordered to maintain the peace and that is what we intend to do." 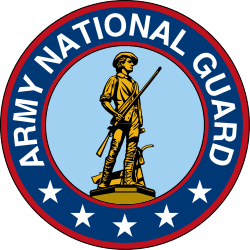 The remainder of Arkansas National Guard units remained at home stations, conducting daily formations and training, but taking no part in the actual operations around Central High School. Beginning with night patrols on the 25th, the Arkansas units worked with the 101st Airborne Division, gradually taking over more of the responsibility. 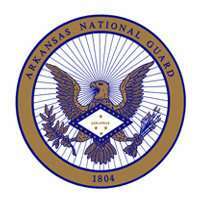 By the 30th the Arkansas National Guard had full responsibility for escorting the black students to and from Central High and for providing them with protection while inside the school. 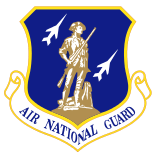 The majority of the Arkansas National Guard was released from active duty on October 1, 1957. The initial force of 1,200 assembled at Camp Robinson for duty at Central High School, was gradually reduced to 435 officers and men. The 1st Battalion, 153rd Infantry Regiment (referred to as Task Force 153rd Infantry in the situational reports to President Eisenhower) performed this duty. From December 1957 through May 1958, Task Force 153rd Infantry maintained one platoon at Central High School, another on 30 minute recall at Camp Robinson, a company on one hour recall, while the remainder of the battalion remained on duty at Camp Robinson. Members of the unit were involved in breaking up assaults on members of the Little Rock Nine by white students and responding to bomb threats against the school as late as February 1958. On May 8, 1958, the last three Arkansas National Guard Soldiers withdrew from Central High School. The Arkansas National Guard's actions in the face of intense national scrutiny were applauded by some people on both sides of the Central High School Integration Crisis. Harry Ashmore, editor of the Arkansas Gazette newspaper, who won the Pulitzer Prize for Editorial Writing "for the forcefulness, dispassionate analysis and clarity of his editorials on the school integration conflict in Little Rock", said that no one, whatever their beliefs on school integration, could feel anything but admiration for the way the Arkansas Guardsmen went calmly about their duties, steering clear of partisan pressure. Superintendent of Little Rock Schools, Virgil Blossom, was also quoted as saying, "I have nothing but praise for the Guardsmen and the manner in which they performed a trying job under difficult circumstances." They were not, however, applauded by at least one member of the Little Rock Nine. In her memoir about her experience at Central High, Melba Pattillo Beals recalls demanding a meeting with General Sherman T. Clinger of the Arkansas National Guard after the guardsmen "stood by, socializing and flirting, while we were being beaten within an inch of our lives." According to Beals, Clinger did not deny the charges, but merely explained that his men had to live in the community. She further described the eighteen guardsmen selected as bodyguards after this meeting as the "biggest, dumbest, most disheveled hayseeds I'd ever seen." ↑ "Brown v. Board of Education, 347 U.S. 483 (1954)". FindLaw. http://laws.findlaw.com/us/347/483.html. Retrieved 2008-02-04. ↑ Orval Faubus Papers, University of Arkansas Libraries, Gov. Orval Faubus Declares a State of Emergency, accessed 1 October 2010, "Archived copy". Archived from the original on 2011-08-26. Retrieved 2010-10-08. 1 2 3 4 The Arkansas National Guard Museum, Central High, Accessed 1 October 2010, "Archived copy". Archived from the original on 2007-06-12. Retrieved 2010-11-03. ↑ Kirk, John. "Crisis at central high". Retrieved 7 May 2014. ↑ McGlasson, MAJ W.D., The Forgotten Story of Little Rock, The Arkansas Military Journal, Arkansas National Guard Historical Foundation, Vol 6, Number 3, Page 20. 1 2 Heathscott, Capt. Chris, Arkansas National Guard State Public Affairs Office, Guardsmen Honor Black History Month with Reflections on Crisis at Little Rock Central High, Accessed 1 October 2010, "Archived copy". Archived from the original on 2012-04-06. Retrieved 2016-04-14. 1 2 McGlasson, MAJ W.D. The Forgotten Story of Little Rock, The Arkansas Military Journal, Arkansas National Guard Historical Foundation, Vol 6, Number 3, Page 17. ↑ "The Pulitzer Prize Winners 1958". the Pulitzer Board. Archived from the original on September 30, 2007. Retrieved 2006-07-11.